2 Notre Dame Notre Dame Florida Kansas Kansas St. Kansas St. While you can’t erase six years of dominance in one weekend, it’s certainly a shock to the system. Yes, for the first time in more than two years, no SEC team will occupy one of the top two spots in tomorrow’s BCS rankings, as Kansas State and Oregon will claim those distinctions tomorrow. That’s just what Alabama’s loss to Texas A&M as the season enters its home stretch will do, as a shakeup is in store for the BCS. But perhaps more importantly, the shift in the BCS tide could mean a non-SEC BCS champion, breaking the conference’s dominating six-year run at claiming the BCS’s crown. Year after year the SEC was able to produce one contender from the heap that the conference seemed to create, but this year, Texas A&M might have delivered the final blow in a series of knockouts traded inside the conference, one that would spell the end of the streak. Alabama will land just behind the three remaining undefeated eligible squads tomorrow, and just ahead of once-beaten Georgia. Given the lack of SEC strength in the top two spots, spots four through nine will be all SEC, all the time. Alabama and Georgia lead a contingent of SEC squads that is seemingly endless. But despite the dominance in sheer numbers, that top spot might remain elusive the rest of the way home. Florida State, still struggling with poor computer showings, lands at No. 10, with the surprising Clemson and the steady Oklahoma rounding out the top 12. LSU claims a perfect computer score after all the pieces around them falter. 5 Kansas St. Arkansas Kansas St. Kansas St. Kansas St. Kansas St.
LSU and Oklahoma St. remain atop the computer rankings, each receiving three of the six top spots, good for a .980 aggregate score. Oregon jumps all the way into a tie for No. 4 among the computers after its victory over Stanford, allowing it to boost itself into the four-spot in this week’s BCS rankings. Arkansas is continuing to slowly creep its way into the top of the computers, holding a .800 aggregate as it tries to get by the other one-loss teams ahead of it. 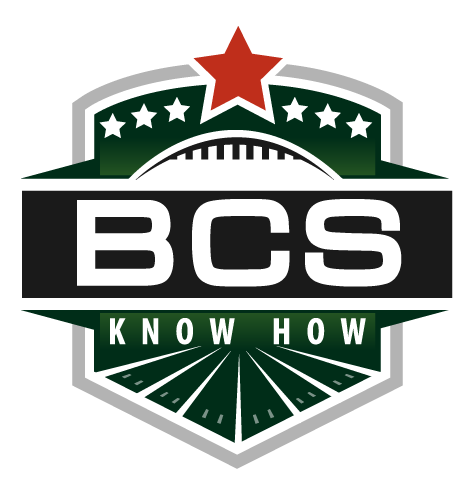 Just when we thought we might have it figured out, more wrenches were thrown into the BCS mix in week 11, allowing for more upheaval and change in the most recent BCS standings. Losses by formerly undefeated Stanford and Boise State sent both teams tumbling into the lower half of the top 10 this week, while Oregon’s victory over the Cardinal boosted the Ducks to a No. 4 spot. All but disregarded in the computers until last weekend, Oregon now sits pretty in both the human and computer elements, bowing at fourth in all three components. Re-entry into the BCS title conversation was on tap for Oklahoma, Oregon and Arkansas this weekend as a result of the newest set of rankings, as the three make up the pack chasing LSU, Oklahoma State and Alabama, stagnant from a week ago. Oklahoma stays ahead of Arkansas on the strength of consistent support from both the computers and human elements, which both favor the Sooners’ track record over that of the Razorbacks. 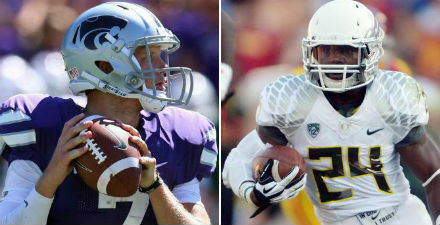 Fair or not, both will have the chance to prove their worth in the coming weeks against the top two teams in the nation. The ACC duo of Clemson and Virginia Tech land behind the title conversation group, followed by Stanford — punished severely for a disappointing loss to the Ducks at home. Boise State rounds out the top 10, out of the title picture, and perhaps out of the BCS bowl picture, with Houston having the much easier road to its own conference championship, and in turn, an automatic bid at a BCS bowl as part of the stipulations for non-AQ conferences. Not a bad week, switched Virginia Tech and Clemson. I think I might have some sort of latent bias for Virginia Tech… keep giving them more than I should. But otherwise, not too bad. Also should have seen Boise State staying ahead of Houston. Not the best call.